Founded in 1994, Connecticut-based fashion line Taylor Vintage targets the New England prep set. 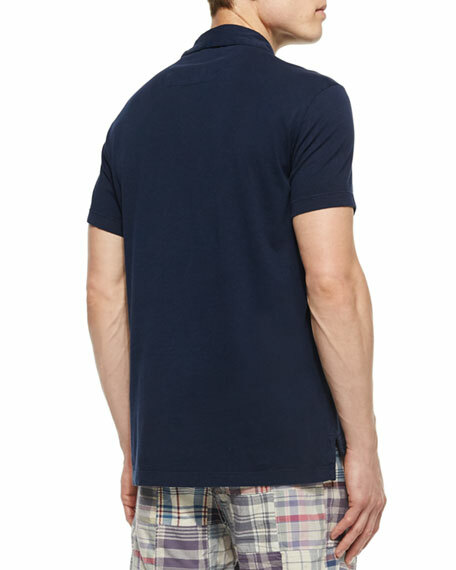 For men, shorts and shirts take shape in classic seersucker or madras plaid. Over-washing, distressing, and garment-dye techniques enhance the well-loved look. Taylor Vintage women's apparel conveys a similarly beachy vibeflirty tops, dresses, and skirts will have you dreaming of the Cape. Etro polo shirt in heathered knit with embroidered Pegasus logo detail at chest. Small spread collar; three-button placket. Short sleeves; banded cuffs. Pullover style. Cotton. Made in Italy. Model's measurements: Height 6'1"/185cm, waist 32"/81cm, typically wears size M.
John Varvatos Star USA polo shirt with embroidered peace sign detail. Spread collar; three-button placket. Short sleeves. Pullover style. Cotton/polyester. John Varvatos Star USA polo shirt with embroidered peace sign detail. Spread collar; three-button placket. Short sleeves. Pullover style. Cotton/polyester. Hand wash. Imported. 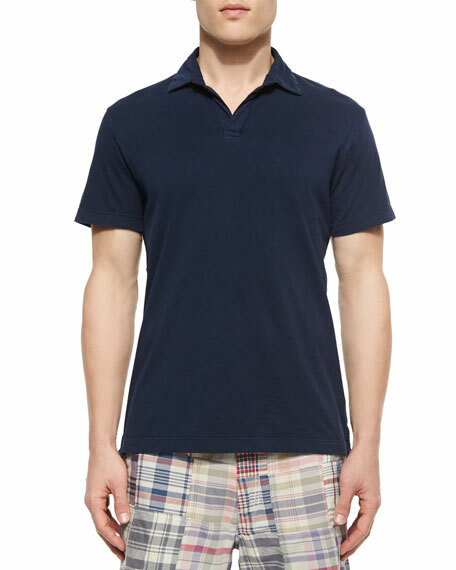 Model's measurements: Height 6'1"/185cm, waist 32"/81cm, typically wears size M.
EXCLUSIVELY AT NEIMAN MARCUS Kiton polo shirt in piqué knit. Spread collar; hidden button placket. Straight hem. Cotton. Made in Italy. Model's measurements: Height 6'1"/185cm, waist 32"/81cm, typically wears size M.